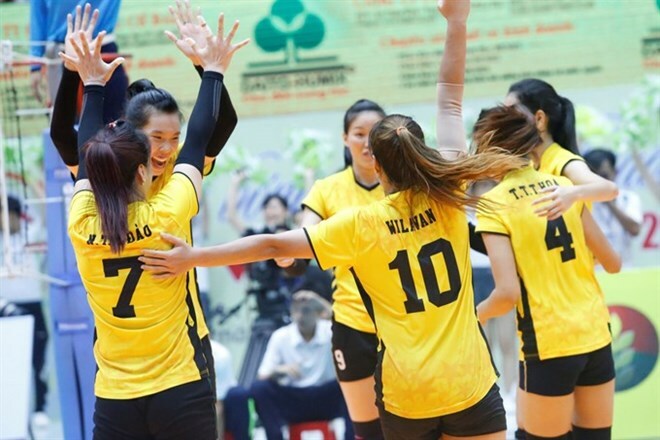 Hanoi (VNA) - Vietnam finished fifth at the SMM 19th Asian Senior Women’s Volleyball Championship in the Philippines on August 17. The team beat Chinese Taipei 25-23, 25-22, 25-23 to settle for fifth place in the 14-team field. At the previous edition in Tianjin, China two years ago, Vietnam also finished fifth. Earlier, Vietnam scored an upset after defeating Kazakhstan, a leading Asian team. Japanese coach Hidehiro Irisawa of Vietnam said his team were very glad to beat Chinese Taipei.